Maybe you never considered what an accent chest can do for your home, but it's an easy way to sneak in a little extra storage — and who doesn't want more of that? Whether your living room is drowning in old DVDs, or your bedroom is overwhelmed by clothes that you never wear and yet can't seem to part with, this little cabinet can solve your problem by stylishly concealing the clutter. And when you can add more storage to your home affordably and still make it look good, that's something to get excited about. 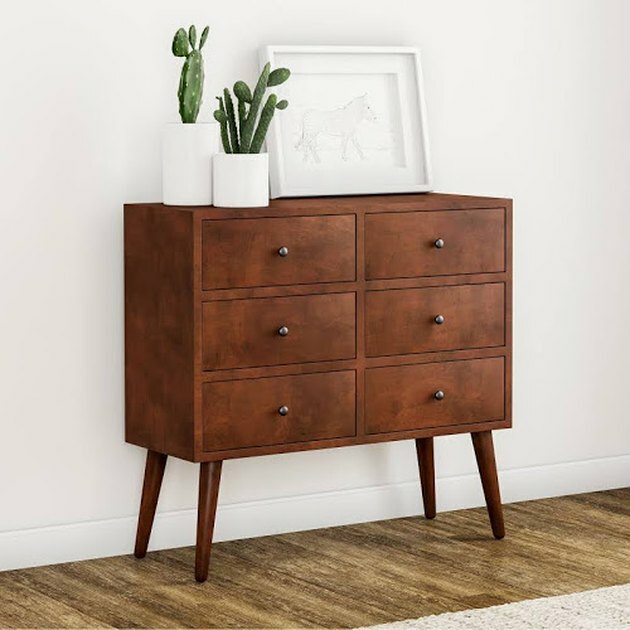 Scroll on for eight accent chests that will change the storage and organization game in your humble abode for the better. 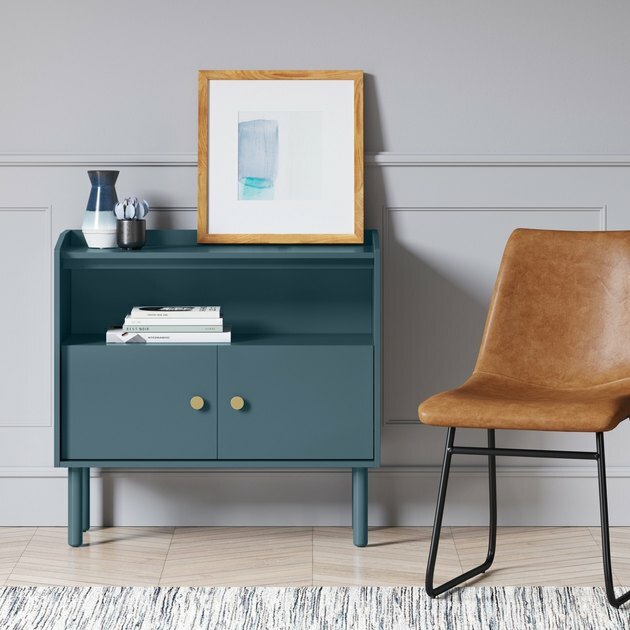 Use this sleek, midcentury-inspired accent chest in your entryway, dining room, or living room. With a removable interior shelf, you'll have plenty of room to stash board games, bar accessories, or extra gadgets to keep your space free of clutter. 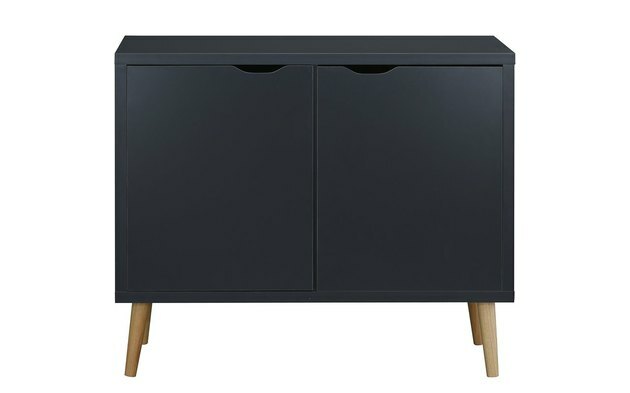 Drawing on Scandinavian style, this simple chest with adjustable shelves is the perfect mix of good looks and function. We especially love the hint of retro-inspired texture on the doors. It doesn't get any cooler than this bold accent chest, which comes in a variety of colors and finishes. 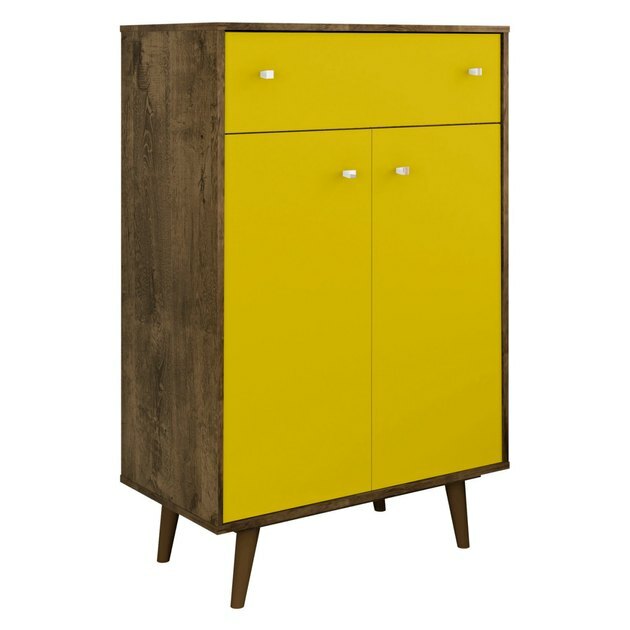 Its straight lines and vibrant yellow doors will reinvigorate your space with new energy, while the handy drawer and interior shelves will do wonders for your home organization. A smart choice for small spaces, this six-drawer chest can easily store all of your odds and ends in their own separate compartments. Its rich walnut finish and sleek black hardware makes it the ideal complement to your minimalist decor. 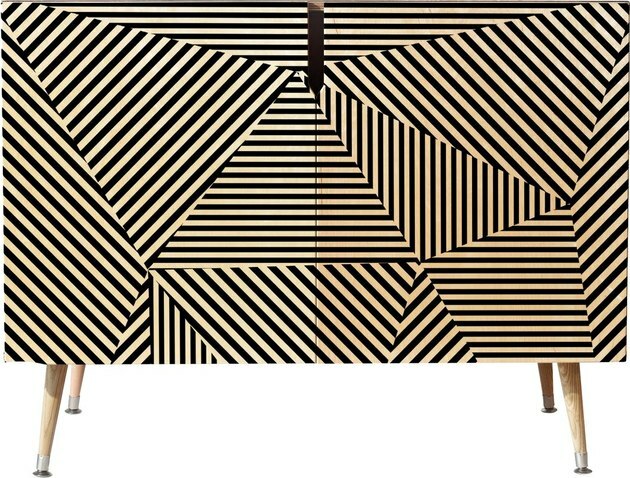 Made of Baltic birch, this modern accent chest's glossy, patterned front is a totally eye-catching way to wake up a simple and underutilized space. 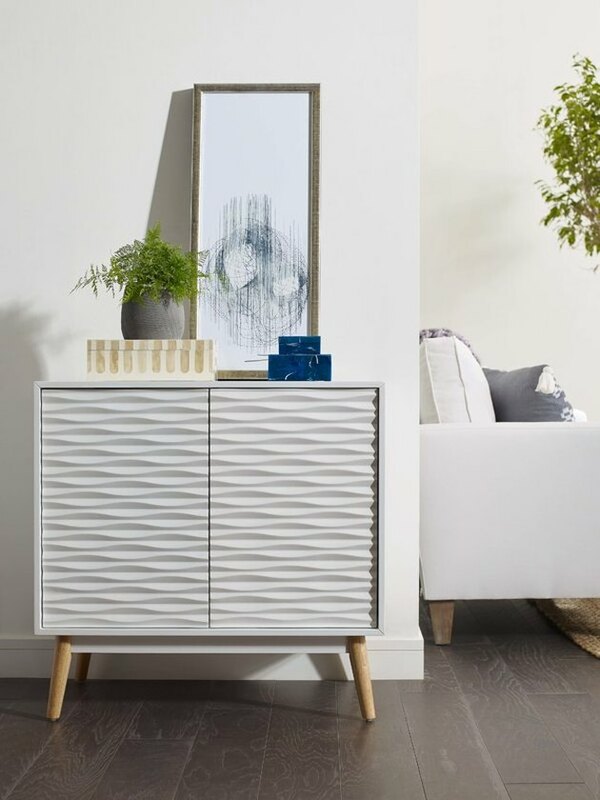 This stunning cabinet has it all: crisp lines, tasteful hardware, covered storage space and an open shelf for displaying your fave books or mementos. Plus, its dusty blue hue will add a subtle pop of color to an otherwise neutral space. 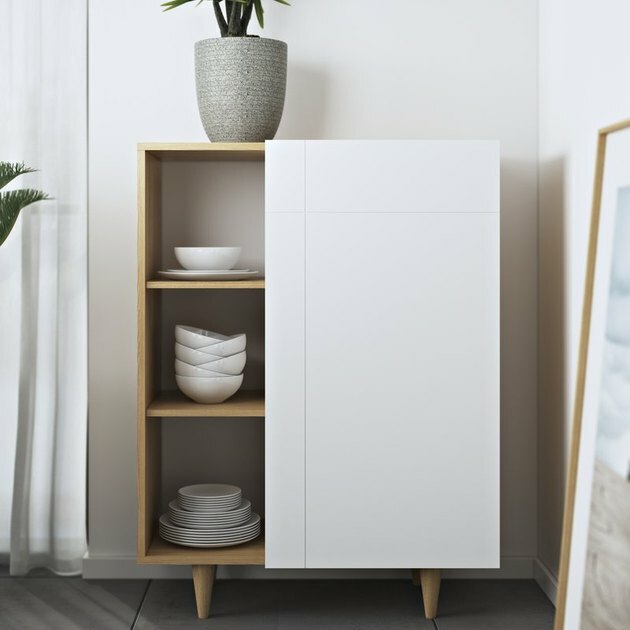 This Scandi-chic design is the perfect storage solution for apartments and small spaces. Use the three small shelves to show off pretty everyday essentials, and hide the rest behind the closed door. The finished look is both serene and stylish. 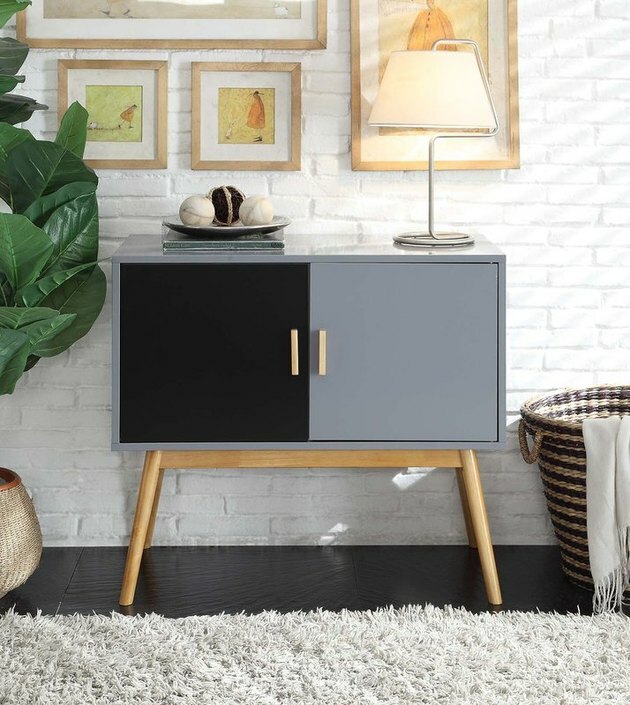 With its smooth lines and hardware-free design, this dark gray accent chest is as minimalist as they come, which means it will blend seamlessly with your existing decor.